The Psychiatric Nurses Association has confirmed that it will be escalating its industrial action from Wednesday. The PNA has already scheduled a daytime overtime ban for tomorrow, Wednesday and Thursday in its dispute over pay and staff shortages. However, the union leadership has now decided that on Wednesday and Thursday the overtime ban will run through the night as well. A PNA spokesperson said the escalation would confirm the absolute reliance of the mental health services in overtime, as well as the level of under-staffing. Child and adolescent mental health services will be exempted from the industrial action. 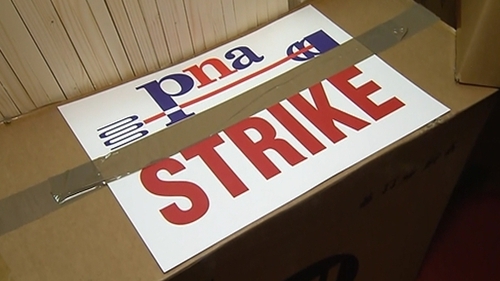 The PNA is also due to hold three consecutive days of strike action on 12, 13 and 14 February in tandem with the Irish Nurses and Midwives Organisation. Meanwhile, the Health Service Executive has estimated that 50,000 medical appointments will be affected by tomorrow's strike by the INMO.